Original Cereal Company Artisan Cereal is available in 80g double serve mini-packs. These packs are great for when you are travelling, in hotels, planes or for when you just want the convenience of a small pack to take with you. 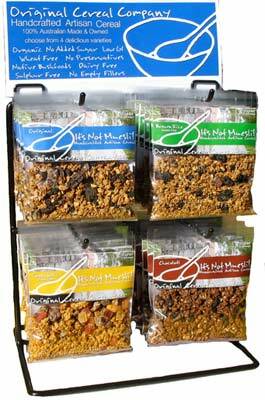 They also double as a delicious trail mix to nibble on throughout the day.